Walt Disney World has announced cutbacks and changes that affect shows, staffing, and services. 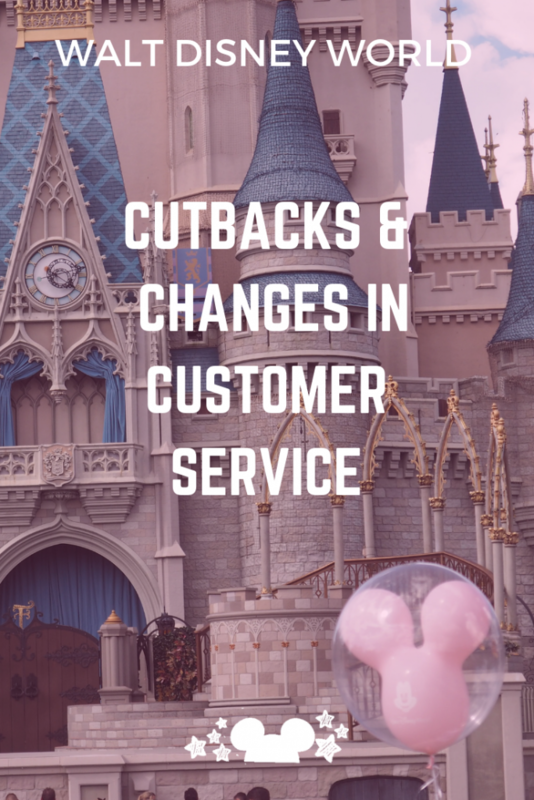 At the same time, Disney has also started shifting some of their customer service approaches. But, what does this mean if you’re visiting Walt Disney World soon or within the next year? Here’s a quick rundown of the cutbacks and changes we saw and experienced on our last vacation. It’s no secret that Walt Disney World has undergone some major changes in the last few years. With the arrival of a completely new Fantasyland in 2012 came new rides, restaurants and the closing of some old favorites. Thus began the work across Walt Disney World to revamp the parks to a more modern place, relevant to today’s families. The addition of Pandora: World of Avatar in Animal Kingdom, and Toy Story Land in Hollywood Studios has given us new places to see, new rides, and new restaurants. We love them all. But unfortunately these come at a bit of a cost. After all a large company like Disney has a budget to stick to. Here are some of the Disney cutbacks we were feeling when we visited this past month. The biggest, most disappointing news that arrived with the cutbacks at Disney was the elimination of several Citizens of Hollywood street performers. This isn’t surprising considering Hollywood Studios has gotten a major overhaul in favor of Star Wars. It’s still disappointing to see any interactive opportunities go the wayside. From our point of view, it’s these little added extras that make Disney feel like Disney and not just another theme park. This is however in line with completely removing the classic Hollywood movie vibe from the park. A trend that started with the closing of the The Great Movie Ride. And one we’ll see continue as Star Wars Galaxy’s Edge, Toy Story Land and other movie specific features take their place in the park. When Walt Disney World, or any Disney Park for that matter, takes a program seasonal it’s because they’re testing the push back of the guests if they were to close completely. Will anyone actually be devastated if Rafiki’s Planet Watch doesn’t return next year? This absolutely amazing conservation center and petting zoo in Animal Kingdom was hidden to begin with. Only accessible by a train ride, it required families to take more time than usually committed to a ride or show to experience it. As more and more shows, rides, and activities compete for guest time, Rafiki’s Planet Watch was sure to be affected. We’re hoping that the conservation messages previously shared at Rafiki’s can find their way into the general Animal Kingdom park area in its stead. Pirates of the Caribbean may have run it’s course as a film franchise but in the Disney Parks this ride and story are alive and well. With the recent revamp of the redhead in the ride to a sassy pirate, we are slightly confused about why this extra show was pulled. So we can only blame it on staffing and time. Captain Jack’s Pirate Tutorial takes about 20-30 minutes, which is sometimes longer than people are willing to commit. We could also blame slowed popularity. Pirates of the Caribbean came out in 2003, so a film 15 years old may be lacking it’s devoted following in kids aged 5-9. With the rumored arrival of a new pirates movie featuring Red, perhaps the stage will soon find a sassy new owner in Adventureland. This parade retired December 1, 2018. While we weren’t terribly sad to see this dance party go, it’s actually only getting a slight revamp for the 2019 year. Mickey and Minnie center stage, set to Mickey Mouse Club Mousketeer music is a nice upgrade to this parade and will resonate better with the families who have kids at the “dancing in the street” age. The new street show, called the Move it! Shake it!Mouskedance it! Street Party includes special merchandise as well. It comes as no surprise that as businesses finalized budgets over the summer, that Disney would find places to trim. The huge construction projects all over Disney Parks and the Disney Resort areas are no doubt costing a pretty penny. Chances are Disney needs to stay as close to target as they can for the 50th Anniversary of Walt Disney World in 2021. We’ve talked about Disney’s phenomenal transportation system in the past. Always keeping in mind that Disney offers bus transportation as a courtesy and not as a paid service helps to put this situation in perspective. With the staffing cutbacks came less bus drivers available to transport guests. This September there seemed to be somewhat lower crowds, but the busing situation was worse than we’ve ever seen. With the exception of the holidays, of course. Bus drivers spent substantial time filling the buses to absolute maximum capacity. Knowing that it may be awhile before they could return and pick up the guests still waiting at the bus stops. Fewer buses meant that the lines everywhere were longer. This was most noticeable at the resorts, and at the closing times for each parks, when crowds are heaviest. If using the Disney buses on your vacation just be aware of the trials and tribulations with this one. What about the Minnie Vans? 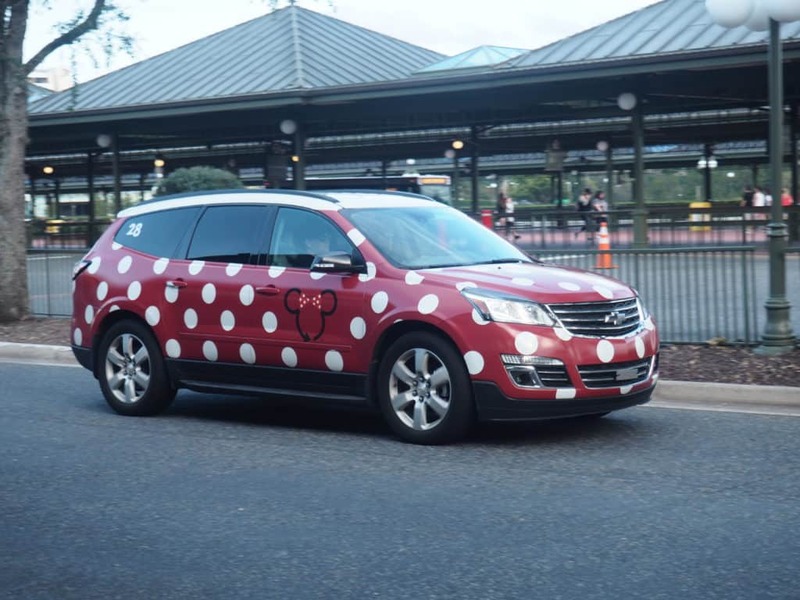 The Minnie Van service is alive and well, but has increased in price. Apparently Disney underestimated the popularity of this service and made the price too affordable? Possible? We guess so. While still available at all resorts, the prices for this service have increased. 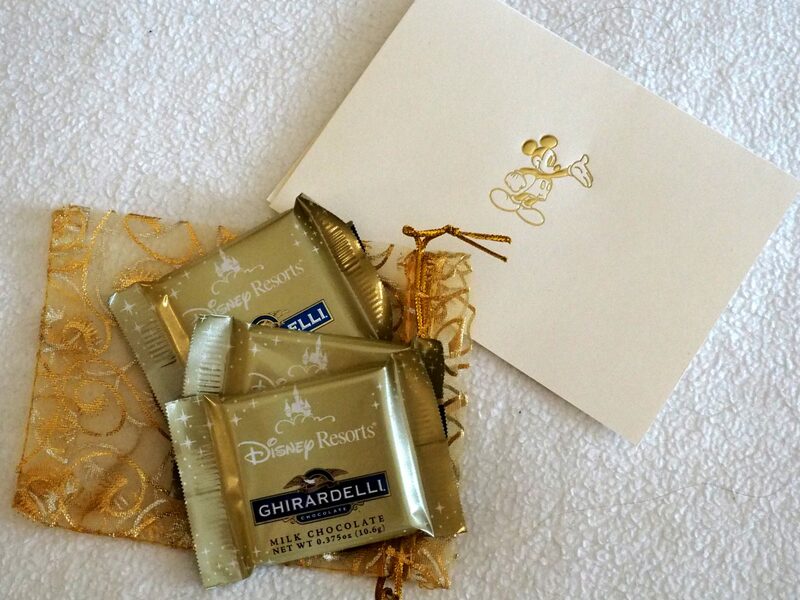 The housekeeping services are known for being stellar across Disney Resort property. At the moderate and deluxe resorts we’re still seeing pretty great housekeeping services. At resorts where there is construction happening we’ve seen the housekeeping compromised for a variety of reasons. This may not be due to staffing, but instead the fact that construction disrupts the regular workflow at these resorts. In years with less construction and less changes, we don’t know if we’d be seeing extra care taken with the customer experience. There is definitely some tension around Hollywood Studios being overtaken by Star Wars experiences. And more tension around the construction in the parks and the lack of faster bus service. So how does one counteract the negative with a positive? 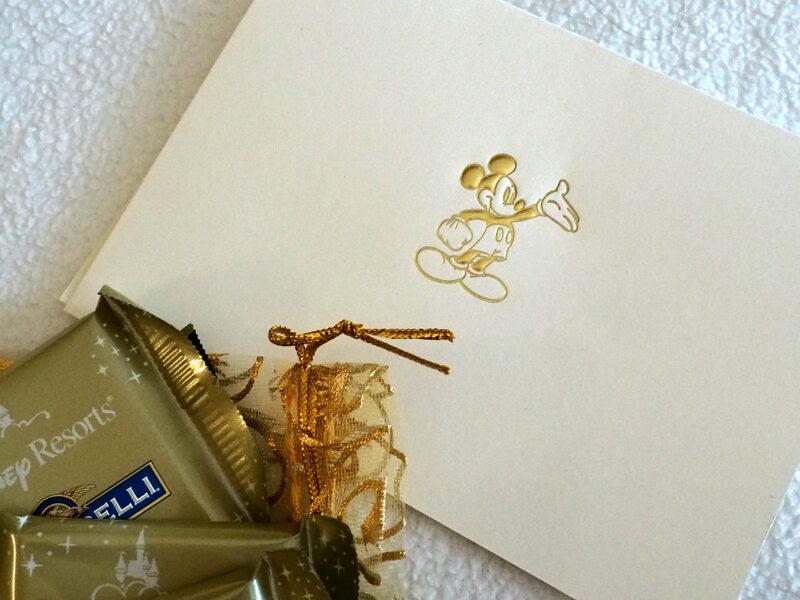 We’ve been visiting Walt Disney World regularly since 2013 and this was the first year we actually received a card. Like an actual Thank You Card at Kona Cafe for being a return guest to the restaurant. We don’t know if this was simply because they asked us if we visited before or checked our names against some mass database system. But, either way, we got a card thanking us for visiting. We didn’t get a thank you card at every restaurant we returned too, so we’re figuring this is just a small perk that will show up at random for guests every once in a while. Staying at Pop Century on this last trip to get a peak into the refurbished rooms, we received a little Thank You treat. A card and small bag of chocolates were waiting for us, thanking us for our return visit to the resort. This may not be the new normal. But we appreciated the effort and the chocolates just the same. The changes for 2019 are a combination of temporary and permanent changes. Walt Disney World construction is getting more complex with Epcot refurbishment plans and continued work on new rides. That said, we can assume that staffing and extras will be at operational levels only while the construction continues. Additionally, since Walt Disney World visitor levels have been down, Disney may not be making up the revenue it needs to continue fueling these large projects. Thus proving to them finally the importance of loyal, returning guests. Let us know your experience!